Boulder’s been called America’s Foodiest Town by Bon Appétit magazine, and now we’re proud to play host city to an episode of Bravo’s “Top Chef" Season 15. The season launches on Dec. 7, 2017, and the Boulder episode is set to air on Dec. 21, 2017, so set your DVR! We have a hunch Tom Colicchio, Gail Simmons and Padma Lakshmi had a blast in Boulder, and we invite fans and foodies of all walks to come check out Boulder’s food scene for themselves. • Snooze A.M. Eatery Start the day right: with pineapple upside down pancakes (OMG). A primo location on Pearl Street means you’ll have great people watching, especially if you score a seat on the patio. • Boxcar Coffee Here they have the perfect cup-a-joe down to a science (seriously, check out the lab beakers and heating elements behind the counter). • Cured Lucky for you, Boxcar shares a space with Cured, a cheese and cured meats shop that helped put Boulder’s Pearl Street on Food & Wine’s “10 best foodie streets in America” list. Choose some provisions for a picnic, or have Cured choose for you with their bespoke picnic service including a gorgeous keepsake basket. • Pearl Street Take a walk down this historic, pedestrian avenue. 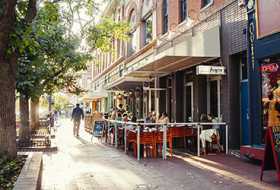 It’s the heartbeat of Boulder, and you’ll always find other folks out strolling, plus independent boutiques, weird and wacky street performers, more restaurants than you have available calories for and bookstores. • East Boulder Community Park An episode of "Top Chef" Season 15 was filmed here, and it’s the perfect spot for a foodie picnic, with some of the best views of the Flatirons around. Spread out your gourmet provisions from Cured, and enjoy. • Tundra Restaurant Supply This commercial restaurant supply company in Boulder was the shooting location for the Restaurant Wars episode of "Top Chef." Come gawk at all the pretty, shiny pots and pans, pick up an affordable knife or peruse tongs in every color. Snack on some popcorn and get a greeting from the resident office pups, too. • Beer Tasting You’ll want to duck into at least a few of Boulder’s 21 craft breweries while you’re here — or maybe you’ll do the whole Beer Trail. Prefer to earn your beer? 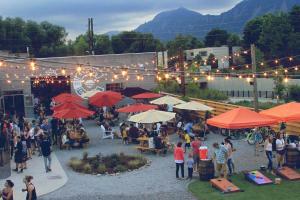 Try Brewhouse Yoga at Sanitas Brewing on Tuesday evenings. 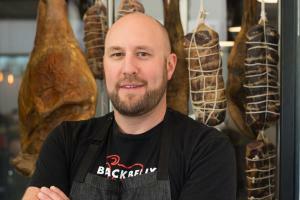 • Blackbelly Market Boulder is home to Top Chef champion Hosea Rosenberg, whose restaurant-and-butcher-shop duo draws a loyal following. Head to the pleasant patio for happy hour and order up some charcuterie and oysters. 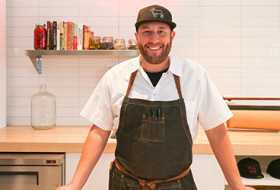 Or try his new restaurant, Santo, inspired by Northern New Mexican cuisine. 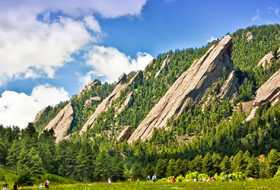 • The Flatirons Time to get some fresh air, fresh views and amazing scenery — in Boulder, these are all right in the city limits. Bring your camera, and stop in the Ranger Cottage at Chautauqua Trailhead for suggested hikes (a network of trails of every level leave from here). • Bramble & Hare Your happy hour noshing will tide you over for an after-hours dinner at one of the only late-night spots in town. 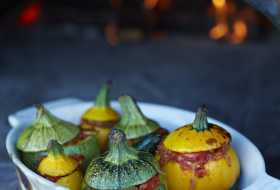 Chef Eric Skokan brings in food fresh from his own farm and, from his open-view kitchen, makes it insanely delicious. • Retire to the opulent St Julien Hotel and Spa, where the cast and crew bunked during filming. You&apos;ll find rooms with Flatirons views, the exceptional Jill&apos;s Restaurant, and a spa you&apos;ll never want to leave. If you aren’t spending the night in town (though you really should! ), at least stop in for a cocktail or a meal. The lobby and patio are drop-dead gorgeous. • Tangerine A fresh breakfast at this local’s favorite will have you fueled up for the day. Try the trout and apple benedict or the caprese omelet. • Boulder Farmers Market If it’s a Saturday, park your bike and peruse what’s been called the No. 1 Farmers’ Market in the U.S. by readers of USA Today. It’s a festival atmosphere, right near Boulder Creek, with live music, samples, artisan goods and more. Also open Wednesday evenings. • Boulder Dushanbe Teahouse Unless you&apos;ve been to Tajikistan, you&apos;ve probably never seen a teahouse like this one. Stop by to admire the intricate, painted carvings and sample from some 80 teas. It’s located right in the middle of the farmers’ market. • Rayback Collective Lunch at Boulder’s food truck park includes incredible views, a super-chill party-like vibe, indoor and outdoor seating, yard games and delish food from the region’s best food trucks. • Panorama Point Drive up Flagstaff Road and stop at this scenic overlook to glimpse all of Boulder down below, Denver and the Eastern Plains beyond. 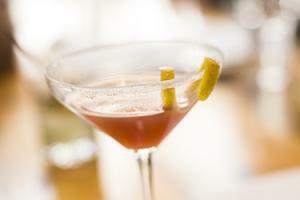 • Local Table Tours Take a culinary tour with guides who will let you in on Boulder’s best-kept culinary and mixology secrets, as you dine-around downtown or take a cocktail tour. Or opt for a cooking class at Food Lab’s super-hip Pearl Street digs. • Frasca Food and Wine Easily one of Boulder&apos;s top culinary landmarks, the James Beard award-winning Frasca is an all-evening affair, attended to by master sommelier Bobby Stucky, formerly of Napa Valley’s French Laundry. • Boulder Theater Big-name rock, pop and folk acts and jam bands love to stop by Boulder. See them in this art deco historic landmark. • Piece, Love and Chocolate Room for one more tiny bite? You can’t leave without a liquid caramel salted truffle from this charming chocolatier on East Pearl, filled to the rafters with sweet cocoa treats. The presence of Boulder’s University of Colorado means there are lots of cheap eats, greasy spoons and hangover food (should you overindulge one evening). Try Village Coffee Shop, the Smelly Deli or Moe&apos;s Bagels. Boulder chef Dakota Soifer took home top honors from Food Network&apos;s "Cutthroat Kitchen." Stop by his restaurant, Cafe Aion, for fragrant paella, roasted cauliflower or crispy potatoes. Chef Chris Royster, of Flagstaff House, is a past recipient of Zagat’s 30 Under 30 award and was crowned one of Food Network’s “Chopped” champions in 2016. See where your dinner is grown and produced. Boulder County has over 800 farms, many of which you can tour or visit. Explore our Farm Trail for u-pick opportunities, farm dinners and picnic spots. Get two-for-one drinks all summer long with the Boulder Passport. Seeds Library Cafe in the Boulder Public Library — an organic, locally sourced eatery on a bridge overlooking Boulder Creek — is the result of a partnership between the library and Boulder County Farmers Markets.